But what are the Celts anyway? 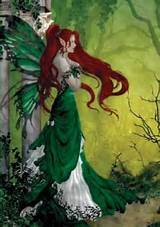 Ireland, Scotland, Wales, the Hebrides, Brittany, and some regions of Spain were inhabited for a thousand years by people known as Celts. They spoke sjx languages: Irish, Manx, Scottish Gaelic, Welsh, Cornish, and Breton. All those languages but two (Manx and Cornish) are used today by native speakers. The Celts are among the earliest recorded tribes of people living on earth. They are inhabitants of the Iron Age. Ireland has always been considered the center for Celtic music, but such tunes are most certainly hybrids from many cultures and languages. 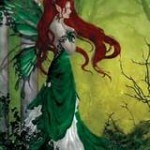 Pagan and wild, Celtic women were faeries, goddesses, forest creatures, and banshees. No wonder Mary was proud to be counted among them. So am I.